Sometimes it’s the small things that give the biggest chance for a brighter future. 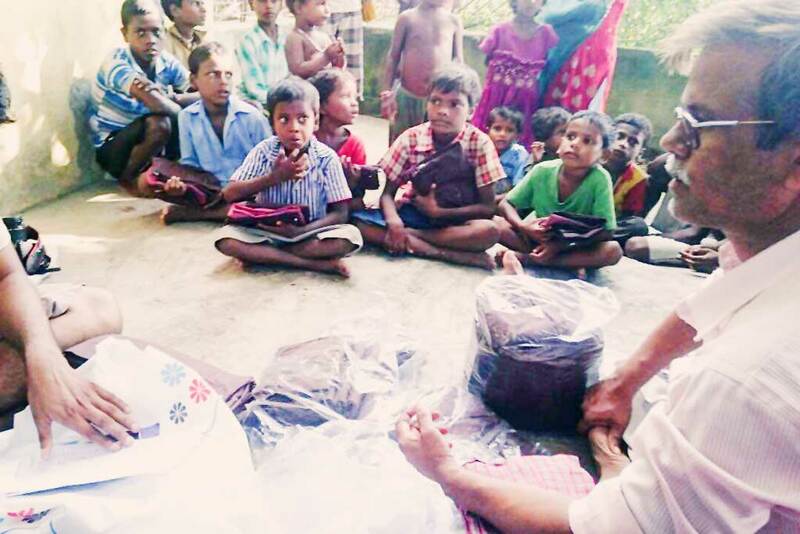 Recently in our village in Ratanpur, Bihar, a devotee of Amma’s sponsored a khichdi meal for the Musahar children and gave used clothing to distribute among them. Amma then instructed to give the Musahar children who attend our tuition classes school uniforms in order to encourage them to attend class. To strengthen the commitment within the event itself, payasam was distributed to all Musahar villagers. Amma has also instructed that a sari be given to all Musahar women and next month this event will take place. In Bihar, the Musahar community is known as one of the most disadvantaged and poor communities in all of India. They were considered out caste, but for their growth and development they have been given scheduled caste status by the government so they can be included in the reservation system.